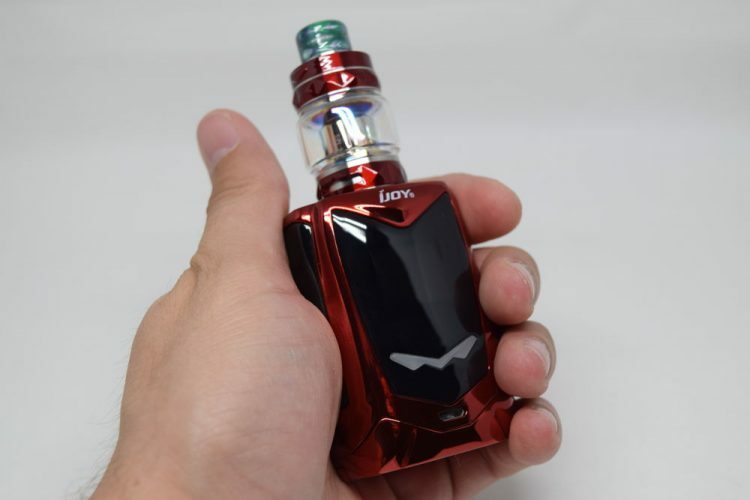 Get a great price on the iJoy Avenger Baby Kit from Vapor DNA. 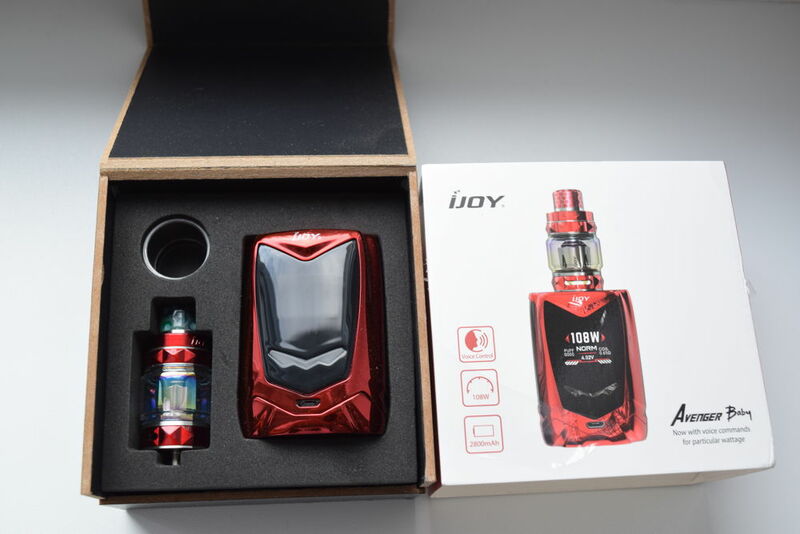 The iJoy Avenger Baby kit comes in the same style packaging we recently saw when reviewing the iJoy Diamond VPC “pod mod” – a very sturdy compressed cardboard box that almost feels wooden to the touch and features a carbon-fiber sticker on the outside. It comes in a nicely designed wrapper, with a picture of the Avenger Baby and the Diamond Mini sub-ohm tank on the front, and a list of contents, some technical specifications and company information, on the back. Inside the box, you’ll find the iJoy Avenger Baby 108W vape mod, next to the Diamond Mini tank, and underneath their Styrofoam holder, you have a micro-USB cable, a spare glass tube for the tank, a user manual for the mod, a warranty card, and a bag of spare o-rings for the tank. Also in the kit, you’ll also find a couple of 20350 batteries for the mod. Just make sure you remove the plastic stickers on the negative posts of the batteries before inserting them into the mod. 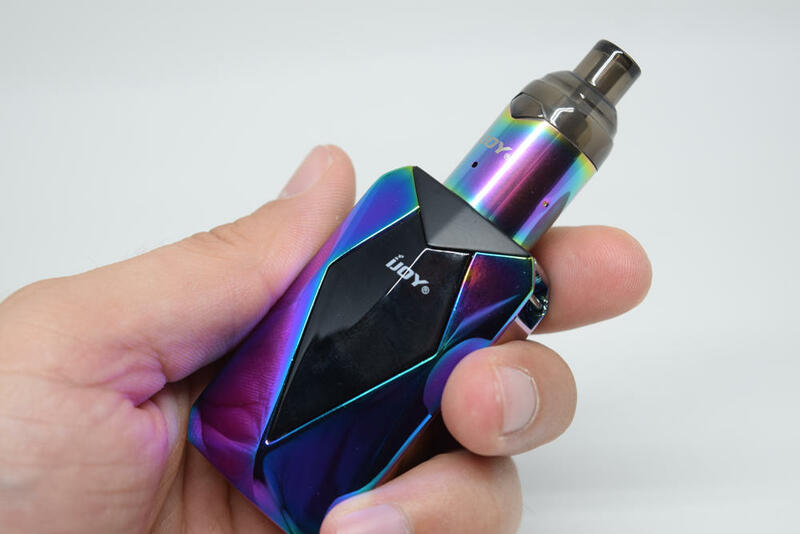 The iJoy Avenger Baby mod measures 66mm x 48mm x 34mm, and comes in 11 different colors, from the classic stainless steel to rainbow. 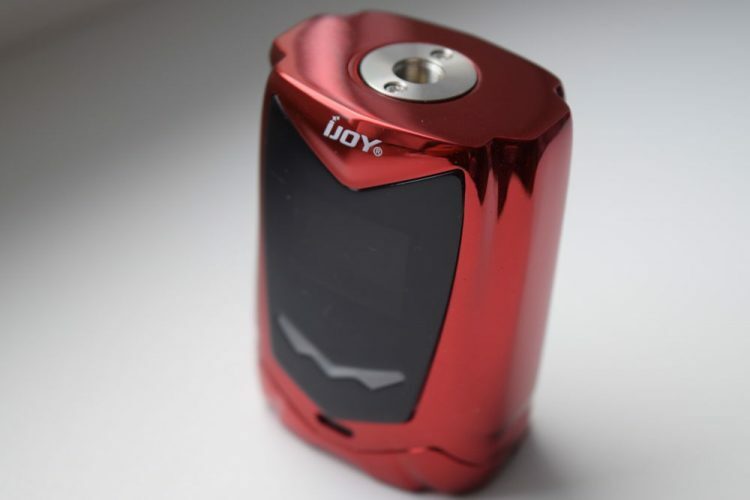 While iJoy doesn’t specify anywhere what the mod is primarily made of, if it’s anything like the original Avenger, it’s most likely zinc alloy. As you can probably tell by the dimensions listed above, the Avenger Baby is short and stubby, which in this particular case is actually a big pro. Not only does the impressive girth give this mod a high-quality feel in the hand – emphasized by the weight of the two 20350 batteries – but, in corroboration with the centered 510 connection, it accommodates atomizers up to 31mm in diameter without the slightest bit of overhang. That’s pretty impressive for such a small mod, and should serve as an example for other manufacturers. I don’t really discuss paint when doing reviews, but I do want to mention that most of the colors available – including the red I received for this review – are glossy to the point where you can see your reflection in them. That also makes them fingerprint magnets, which also applies to the plastic panels on both sides of the device. 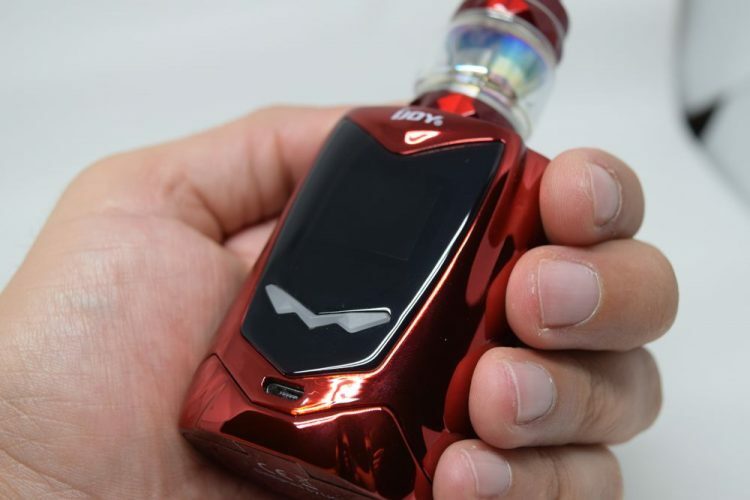 I don’t really mind that very much, to be honest, but if you’re the kind of vaper who hates glossy mods, the Avenger Baby might not be for you. Starting from the top, we have a standard 510 connection with a spring-loaded, gold-plated pin and a slightly raised plate, to prevent scratches on the mod itself when you screw on atomizers too tight. This also creates a small gap, but it’s barely noticeable, so I personally don’t consider it a con. 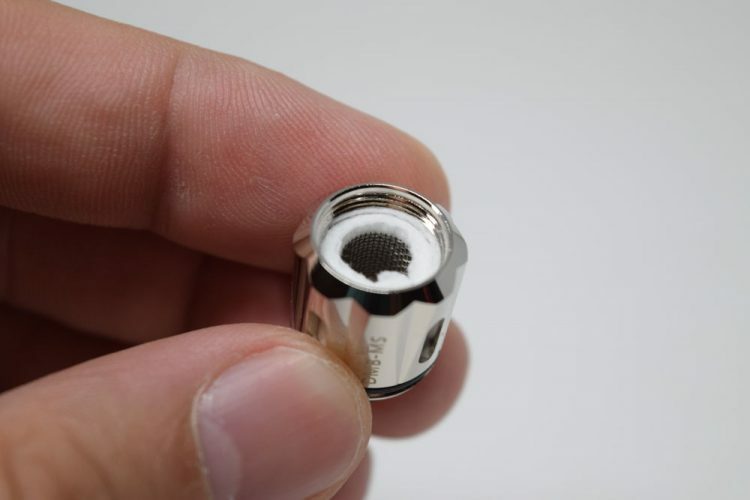 As I mentioned, the connection is centered and fits tanks up to 31mm in diameter without any overhang. We have two black, shield-shaped panels on each side of the Avenger Baby, with one serving a purely decorative purpose, and the other a slightly tinted protection for the display. We’re talking about a fairly small display, which takes up about half of the available space and has a modest resolution. It is a color display, though, and has a very well-thought out layout. One con I do have to mention is that the mod I received for this review had an issue with that protective plastic panel. I don’t know if it was a smudge on the inside or a manufacturing error, but for some reason it made part of the display appear blurry. Tilting the mod at an angle, you could see that the display itself was fine, but the blurry panel made it appear blurry too. Hopefully this is an isolated case, or just an issue with early versions sent out to reviewers. I personally haven’t seen this issue brought up by anyone on the online shops that carry it, but I felt that I had to at least mention it. Right under the display, we have a funnily-shaped button that sort of looks like a bat. It’s actually a 2-in-1 button, with the left wing being the ‘-‘ and the right one the ‘+’. It’s made of a semi-opaque plastic and actually lights up in different colors. On one of the narrow sides of the device we have a firing bar instead of the classic fire button. It takes up almost the entire side, from top to bottom, but only the upper half of it can be pressed, as the actual button contact is located near the top. It’s an ok fire bar, it feels solid, but it makes kind of a hollow sound when pressed. 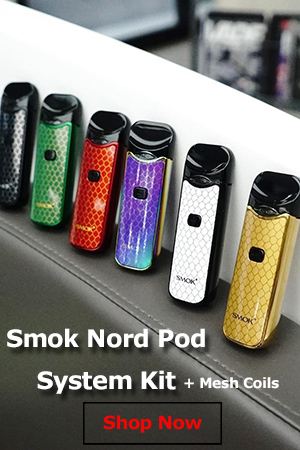 I personally prefer the SMOK Alien firing bar, to be honest. Finally, on the bottom, we have a hinged battery door, with polarity markings on the inside, as well as venting holes in case something goes wrong and the batteries need to vent. This my favorite type of battery door, it’s easy to open and close, it’s durable, doesn’t come off completely, perfect. Overall, the iJoy Avenger Baby looks and feels like a very solid mod. 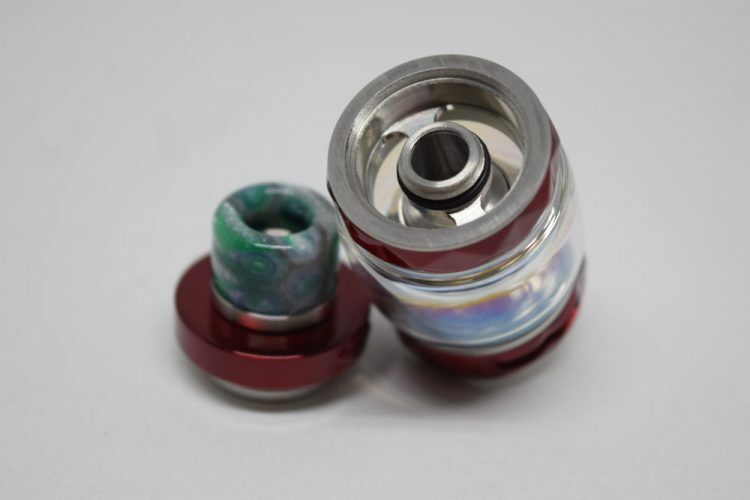 It has just the right weight to it to feel nice in the hand but not too heavy, there is no button rattle whatsoever, and the fact that you can use it with 30mm atomizers with no overhang is an unexpected bonus. One of the main features of this device, and the thing that really got me interested in it was the voice recognition technology. 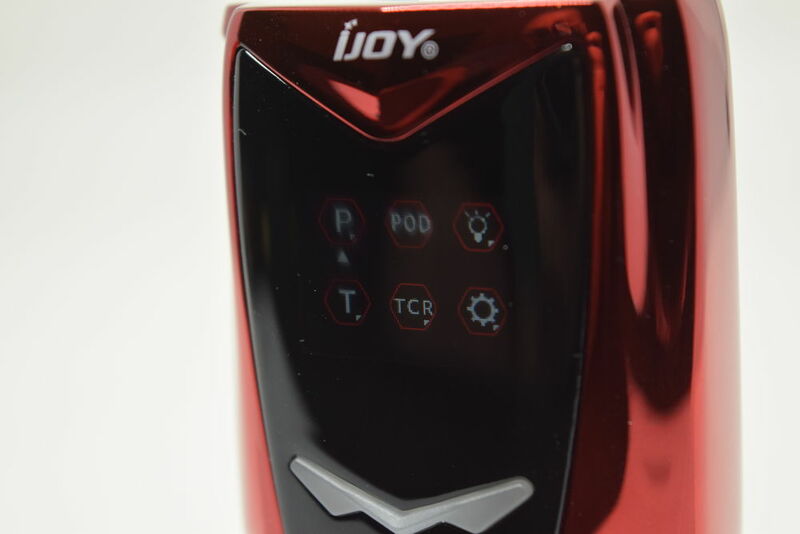 I didn’t have the chance to test the original iJoy Avenger, but I remember reading about how you could talk to it and change settings by voice, which I found pretty cool. It turned out that the original version of this technology needed a bit of work, but the version implemented on the Avenger Baby is actually an improved one. But first thing first, let’s talk about the other things in the menu. To access the settings menu of this vape mod, you have to press the fire button three times in rapid succession. You will then be presented with six icons, each representing a sub-menu. First we have ‘P’ as in Preheat, where you can select from three different options, Soft, Normal and Hard. The first one makes the mod fire at 20% lower power level than what you currently have set, while the last one makes it fire at 30% higher power than the currently set power level. Normal just fires at the set wattage. The second sub-menu is ‘POD’, and it’s one of the most interesting features of this device. It’s basically Voltage mode with a very specific range: 2.5V to 3.8V. We recently reviewed the iJoy Diamond VPC kit, which had that interesting pod adapter, and this POD menu ties in with that. This voltage range is specifically designed for use with the company’s VPC pod, to give users the same experience as any of the pod systems compatible with the VPC adapter. Next on the list is the Colors sub-menu, where you can select what colors and patterns the adjustments buttons will light up in. 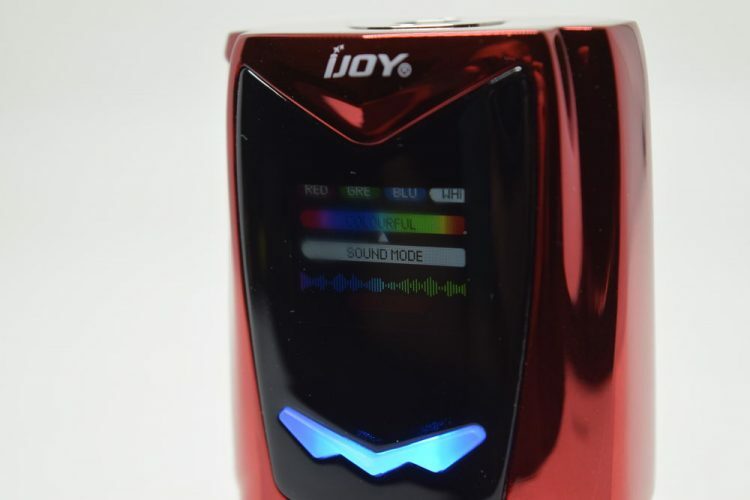 You have several colors and modes to choose form, including a Sound Mode, where the button will light up according to the intensity of the sounds picked up by its internal microphone. Then we have Temperature Control for the three common materials – nickel, titanium and stainless steel – as well as two memory modes. Once you make selection, you’ll be taken to the main screen. Here you can adjust either the wattage or the temperature depending which button you press first. If you press the ‘-‘ button, you will see the degrees symbol start to flash letting you know you can adjust the temperature. If you press ‘+’, you will the the W symbol flashing, meaning you can adjust the wattage. If you keep both the ‘-‘ and ‘+’ buttons pressed down at the same time for a couple of seconds, you will lock the resistance. Next is TCR, where you can enter the temperature coefficient for any supported materials, and last, but certainly not least, we have the secondary settings sub-menu where you can reset the puff counter and set the screen timeout, but also turn the voice recognition technology on and off. Now let’s talk about this AI-powered voice recognition thingy. Basically, it allows you to change a bunch of settings on your mod without having to push any buttons. All you have to do is say “Hi iJoy” to turn the feature on, and then you have a series of commands available. For example, saying “Power Low” will lower the power output by 5W, and “Power Up” will increase it by 5W. Sure it would have been nice to have it recognize any value, like 27W, or 84W, but even so, it actually pretty cool. You can also say “20W” and it will set the power output to that value. It currently recognizes everything from 10W to 90W in 10W increments. You can also lock the device by voice, set the desired preheat, adjust the colors of the adjustment buttons and more. 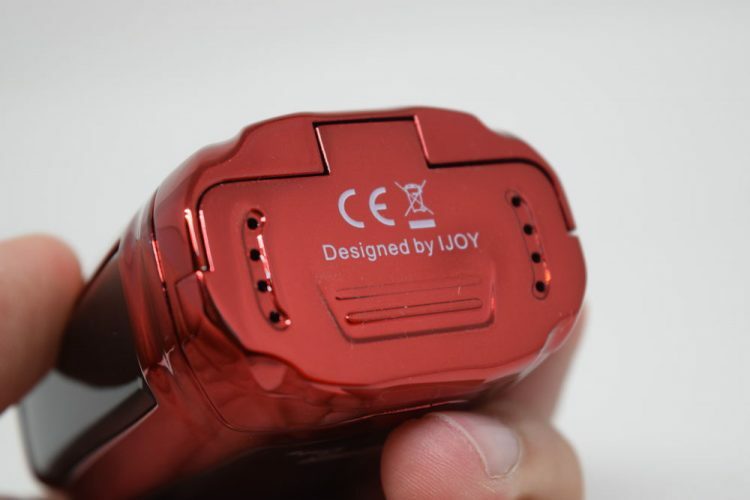 It’s actually pretty cool, I’ve been having a lot of fun with this feature, and I think iJoy can improve it even more through firmware upgrades. But if you feel like this voice recognition feature is nothing more than a clever gimmick, I suggest you turn it off in the menu, because you can accidentally activate it while speaking to somebody and mess up your settings without realizing. It actually happened to me a couple of times, and I wasn’t even speaking English at the time, so be careful. Overall, the menu system is very easy to navigate and has quite a lot of interesting features, although I wish iJoy had also implemented a custom curves mode like they did on the old Captain PD270, which I still use regularly, by the way. Another interesting feature of the Avenger Baby mod are its batteries. 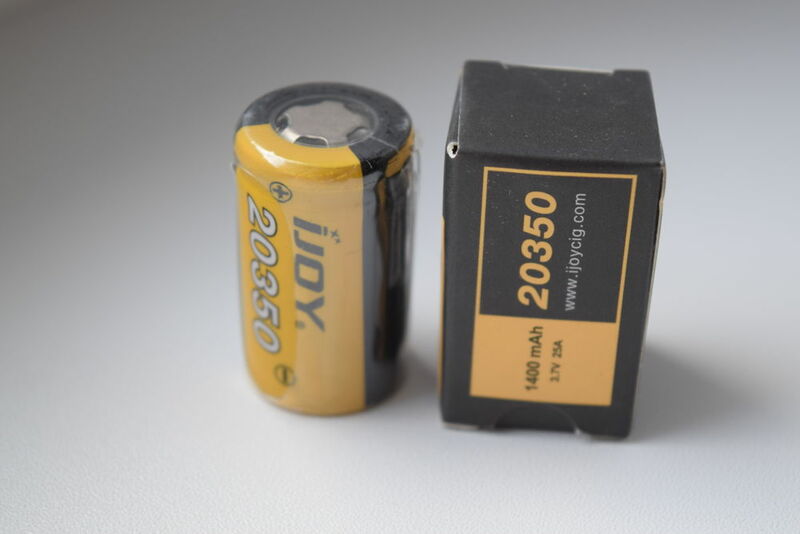 I for one had never used 20350 batteries before, nor did I know anything about them. Technically, I still don’t know very much about them, apart from the fact that if you stack them on top of each other, they have the same diameter and length as a 20700 battery, and a similar capacity (2 x 1400mAh compared to 3000mAh). 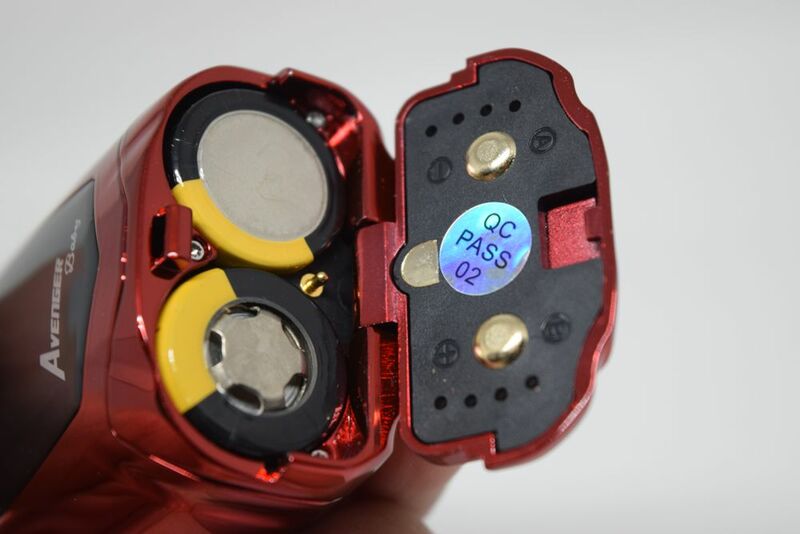 While looking for information on these batteries, I also found that there is some controversy surrounding them. Battery Mooch, the go-to battery guy of the vaping community, apparently received a couple of them from YouTube reviewer Mike Vapes for testing purposes, and found that their amperage claims were greatly exaggerated. There were also some reports of users having problems with them, and Mooch suggested that they be used at around 40W, just to be on the safe side. 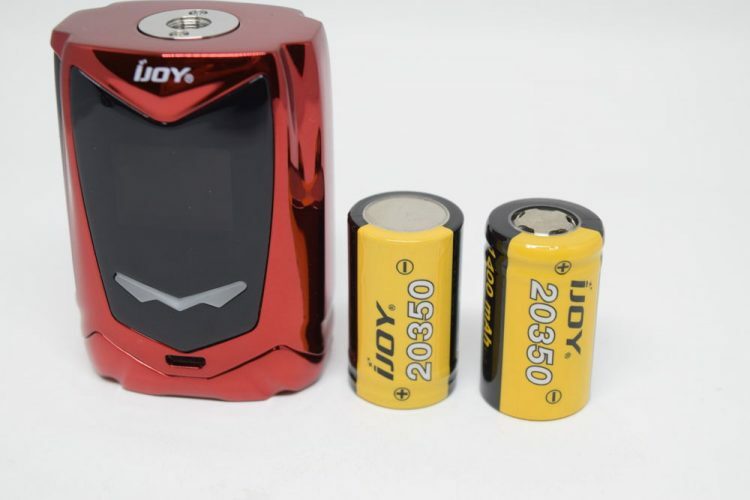 It was later revealed that the batteries battery Mooch had received had been defective, and that iJoy had sent them other samples, but I haven’t been able to find his final verdict on them. They’re kind of controversial is what I’m saying, and we don’t know very much about them yet. I for one have used the 20350 batteries at 80W with no issues, but I’m not saying you should too. Until we know for sure what the deal is with them, I recommend you stick to Mooch’s recommendation of a 40W max power output. 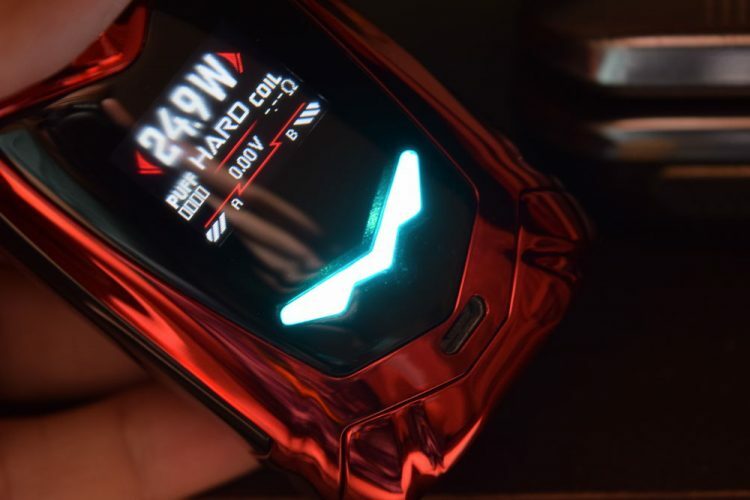 The battery life of the Avenger Baby mod is comparable to that of a single 20700 battery. 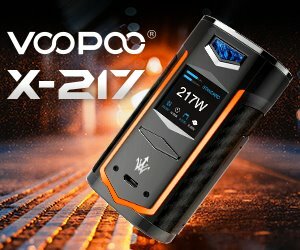 How much vape time you get out of the dual 20350s depends mostly on how high a wattage you have set, and how much you use the mod. For example, while vaping at 80W, I was disappointed to see that it only lasted around 5 hours. I imagine battery life is even worse at the maximum 108W. Then again, if you plan on using it at around 40W – 50W, you should get at least 8-9 hours of use out of it. I for one have not been to impressed with the battery life of the Avanger Baby, and the fact that the device does not have vape-while-charging is a big let-down. I mean, you can talk to it, but you can’t vape while it’s charging? 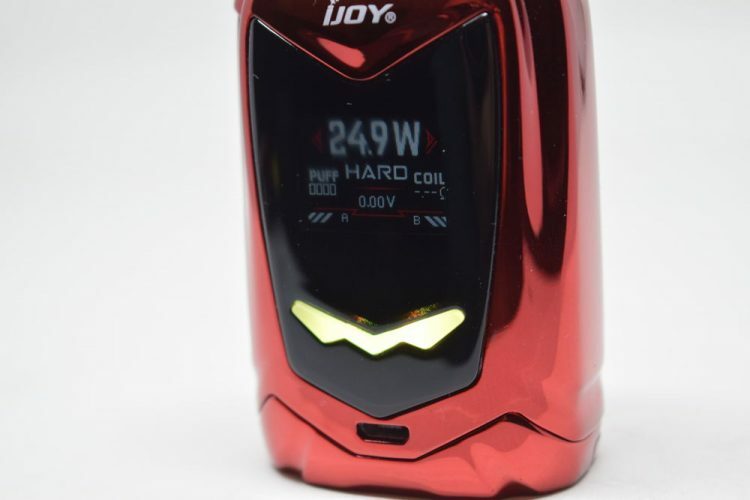 Come on, iJoy! Plus, the controversy about the overstated amperage limit isn’t exactly reassuring either. Regarding performance, I haven’t had any issues with the Avenger, apart from the accidental settings changes when I forgot to set voice commands to “off”. The firing bar works ok, even though it’s not as clicky and comfortable to press as I would have liked, the mod fires almost instantly, and the power ramp up is impressive, especially in “Hard” mode. The voice commands are definitely the coolest feature of this device. I wouldn’t blame you for calling this technology a gimmick, but I for one have been having a lot of fun using it, and it actually can come in handy when you’re focused on something else, like driving. It’s cool and I think it can get even cooler in the future. I have only been using the Avenger Baby in power mode, so I can’t comment on its performance in temperature control. It’s not something I am interested in, and as far as I know the vast majority of vapers never use this feature anyway. 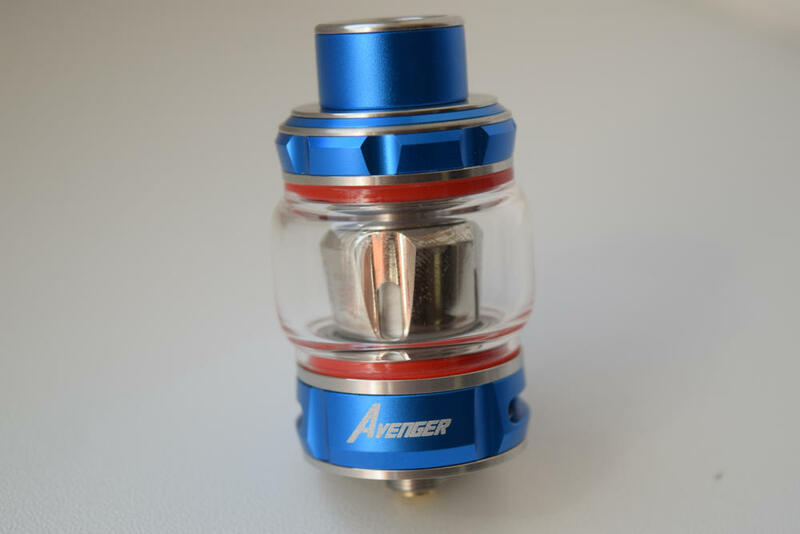 The Avenger Baby kit comes with the Diamond Baby tank, a fairly standard sub-ohm tank featuring top-filling and adjustable bottom airflow. E-liquid capacity is 4ml with the pre-installed bubble tank, or 2ml with the spare glass section. The main features that caught my eye were the cool-looking resin 510 drip-tip, and the two mesh coils that came with the kit. One of the coil is rated at 0.15Ω and the other at 0.18Ω, but in terms of vaping experience they are pretty much identical. Like all of iJoy’s recently launched coil heads, these two mesh coil feature flax fiber and wood pulp wick, instead of the usual cotton. I honestly can’t say that I was blown away by the flavor I got while using the Diamond Baby tank, but if you’re curious about how mesh coils compare to classic wire coils, it’s definitely worth a try. These are not the best mesh-coils that money can buy, but for something bundled in a kit, they’re decent. I was rather impressed with the build quality and the voice command technology of the Avenger Baby mod, but I can’t deny that it also has some weaknesses. The blurry protective panel that partially blocked my view of the display, and the fact that it lacks custom curves mode and vape-while-charging was pretty disappointing. However, I still consider the iJoy Avenger Baby to be a really cool mod, and I consider myself lucky to be able to add it to my collection. It’s one of less than a handful of voice command mods on the market right now, and that alone has to be worth something. Would I recommend it, though? yes, but only after the controversy around the iJoy 20350 batteries is settled. 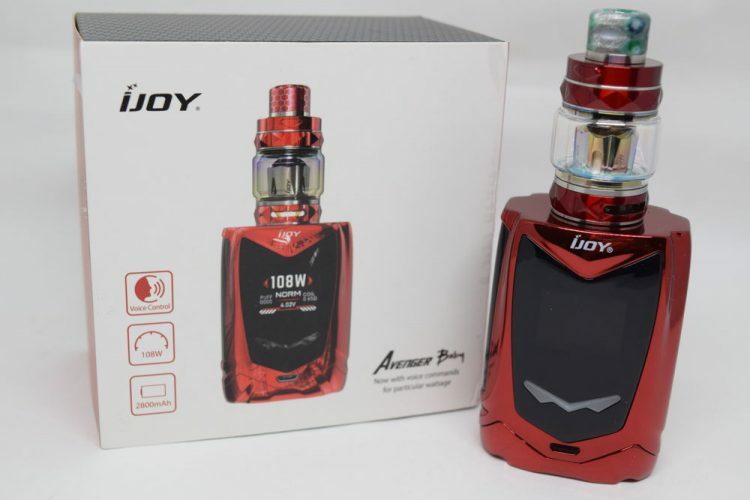 The iJoy Avenger Baby kit was sent to me by Heaven Gifts, for the purpose of this review. Love this so much, especially the voice control, everything about it. I only have one question. Is there a way to lock your settings, especially watts. Many times v when vaping or v putting decided my purse, wattage will change way too high or mode will change from norm mode to hard mode. Lots of problems with tank leaking. Replaced coil and O rings. Didn’t help…. This is my first real vape mod and I’m pretty impressed. It’s been much more convenient and cheaper long term than the pens I was using. I had the same leaking issue as Hendrix had but found a fix. Close the air control when refilling. 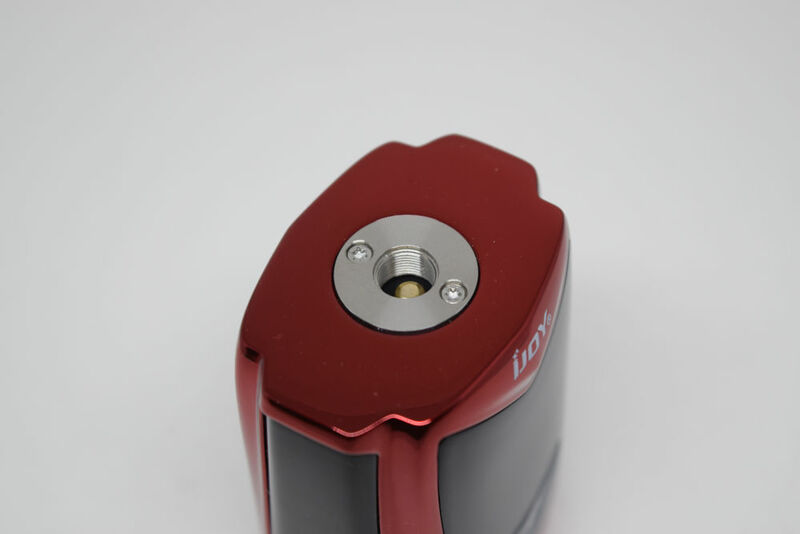 Put the cap back on, flip the mod upside and open the air control again. Apparently the pressure was causing leaks. Haven’t had a single leak since doing this.